16 photos in database by this submitter. Comments: Mary Haralson (Nee: Booth) | Longmeadow Ma. 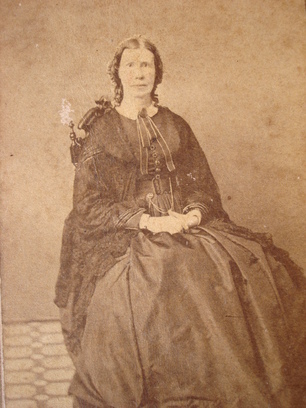 United States | 1851-1900 | Comments: Mary Booth born 1807/1808 in Mass. married widower Paul Anderson Haralson in 1849 probably at Stone Mountain,Ga. After Paul's death she moved to Philadelphia,Pa. as evidenced by letter she wrote there in 1854. She was in Athens Co,Ohio 1860. She died 1883 at Hampden Co, Mass.